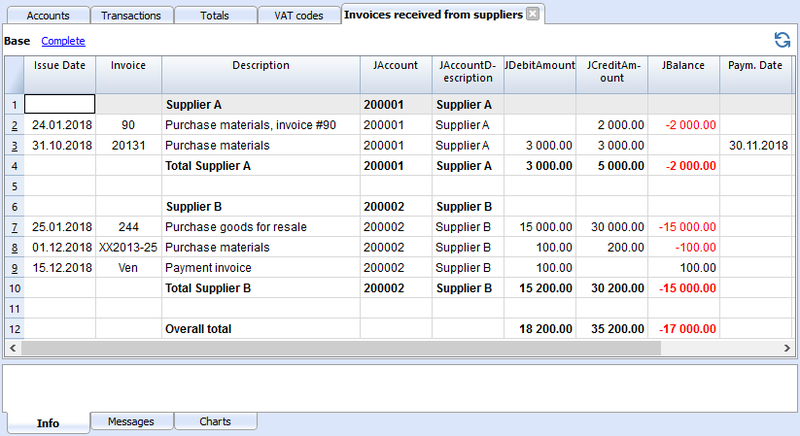 Command: Account2 - Suppliers - Open invoices by supplier. 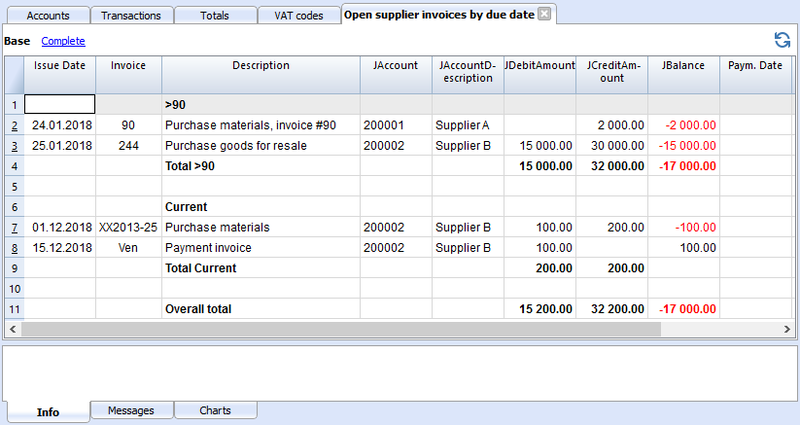 In this table, the invoices that have an open balance are being listed. In this table, the invoices that have an open balance are being listed, grouped by aging period.